Turkey has recently signed a military cooperation agreement with Kuwait, member of the six-state Gulf Cooperation Council (GCC). According to the agreement, signed during the Turkey-Kuwait Military Cooperation Committee meeting, the two countries are planning to share their military experiences and coordinate their activities beginning in 2019. The GCC alliance includes Bahrain, Kuwait, Oman, Qatar, Saudi Arabia, and the United Arab Emirates. Turkey already has a military base in Qatar, another GCC member state. Turkey’s efforts to sell defense industry products to Kuwait are not a secret. Turkey participated in the 2017 Kuwaiti Defense and Aeronautics Fair with 23 companies. Kuwait-Turkey agreement came in the backdrop of close Turkish ties with the Muslim Brotherhood, Turkish moves to become a shield for Qatar against the Saudi-United Arab Emirates alliance, the decision by Riyadh to assist Kurds in Syria and the tensions that erupted with this month’s disappearance of the Saudi journalist Jamal Khashoggi in the Saudi Consulate in Istanbul. Tellingly, Kuwait-Turkey agreement follows Saudi Crown Prince Mohammad Ben Salman’s brief unsuccessful visit to Kuwait on September 30, 2018. This was his first formal visit as Saudi crown prince to a Gulf Cooperation Council country since becoming the heir apparent. A source at Kuwait’s emiri court told Reuters that the visit took place in a highly tense atmosphere, and that no political or economic agreements were signed by the two sides. 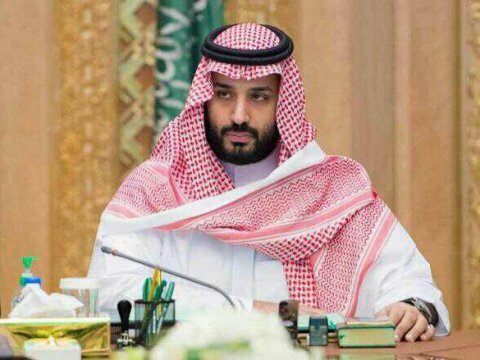 The Kuwaiti daily al-Rai al-Youm, quoted a high-level source as saying that the visiting Saudi prince and his delegation appeared visibly displeased and angry. He only exchanged a few inconsequential words with the Kuwaiti ruler, and headed for his private plane along with his delegation as soon as the dinner was over, and flew back to Riyadh. According to Kristin Smith Diwan, a senior resident scholar at the Washington-based Arab Gulf States Institute, the visit had gone badly, and that key issues – the proposed reopening of production in the Neutral Zone oil fields or the Qatar crisis – had generated disputes. According to al-Rai al-Youm, the crisis over the oilfields began when Kuwait refused to issue visas to maintenance technicians from the Chevron corporation who had been sent to supervise work on the fields to increase their output and oversee further exploration in the area. Their company had positioned equipment on the Kuwaiti side without consulting the Kuwaiti government. The Saudi government responded by halting production from both fields on the pretext of undertaking maintenance. This maintenance has lasted for four years, shutting the fields down and costing Kuwait some $18 billion in lost production.